The ride is remarkable for staying on so many low-traffic roads with excellent pavement. 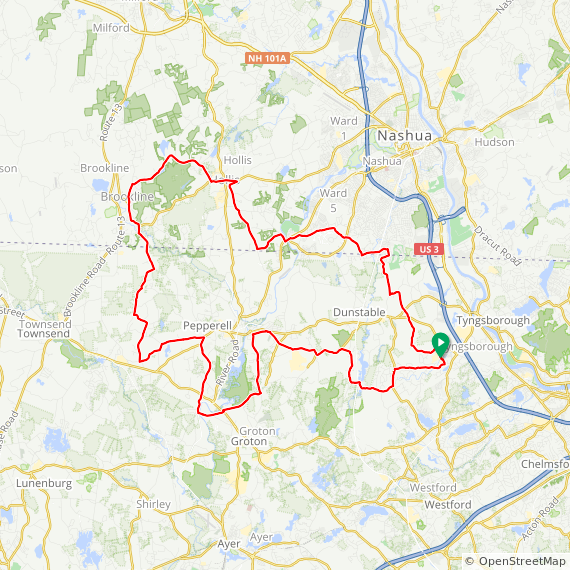 The short ride goes through Tyngsborough, Pepperell, Hollis NH, Nashua NH, and Dunstable; the long ride adds Townsend and Brookline NH. 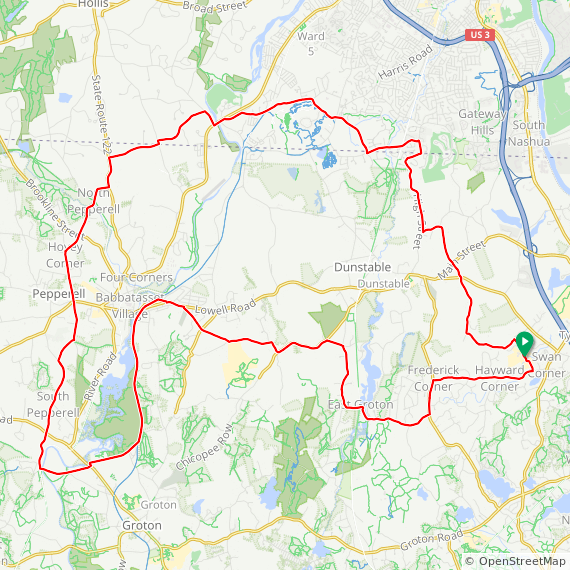 The short route has 0.5 miles of packed gravel, and the long route has an additional 0.7 miles of packed gravel. All gravel sections are well-graded in good condition and are suitable for road bikes with small tires.